The great outdoors is something we all find enticing, and there truly is no better way to experience natures greatest gift than to spend the night camped out in it. America has got to be one of the best places to take a camping trip, and some of its national parks offer fantastic camping opportunities. 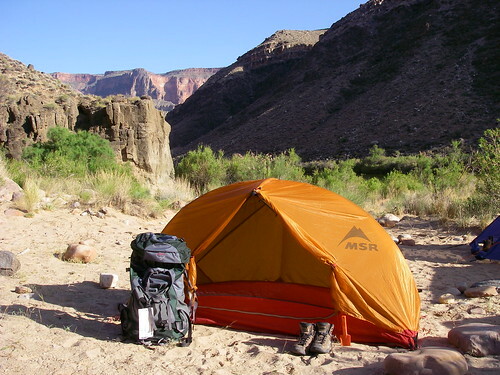 Get back to nature and check out these top 5 camping spots in the United States. If what you’re after is a high octane camping experience, then nothing quite compares to the red rocks and deserts of Canyonlands, the park is a mecca for mountain bike enthusiasts and there are plenty of trail options for all abilities. You can take in the sandstone surroundings on a six-day trip, covering 138 miles and staying in a mix of cabins and campsites along the route. The similarly adventurous Boundary Waters is an infamous canoe hot spot, with 1,500 miles worth of routes it’s known as one of the best places in the world for paddling adventures. The crystal clear lake area also offers an abundance of wildlife including moose, beavers and bears. It is possible to go it alone on these trips but you’ll need a permit to camp and must stick to the designated camping spots, if you go with a planned canoe trip they will provide gear, food and accommodation. For a slightly more luxurious trip you might want to consider Denali, its wildlife is unrivalled and tour operators offer cabin accommodation and meals included with a river trip and safari through both Denali and Kenai National Wildlife Refuge. You can expect to see moose, caribou, bears and America’s tallest peak, Mount Mc Kinley. For a camping experience with a little romance thrown in look no further than Ozark National Forest. Spend the day hiking in the wilderness before retreating back to your 1930s cabin stop of White Rock mountain. These stone-walled havens come with a wood burning stove and a deck for you to sit back and enjoy the stunning sunsets. Whether you’re after adventure or relaxation, camping in America’s national parks can provide, and if you’re not so partial to putting up a tent there are more luxurious ways to camp out too. All of the national parks are well known for their wildlife but if you want to really get back to nature then camping or staying in cabins is the way to do it. It’s difficult to pinpoint only 5 options, but this guide is a good start. Submitted by john659 on Mon, 2013-02-04 11:07. I have been to Ozark National Forest, Arkansas and all I could say is that its a place worth visiting and camping. I went together with my fellow College researchers for a day off at our research plans. We had alot of fun. Make sure you carry your backpacks as well as tents as you will definitely need one.